In June 2012, REACH helped TNT generate interest and connect with country music fans at the 41st Annual CMA Music Festival in Nashville to promote the tune-in for TNT’s all-new drama, Dallas. 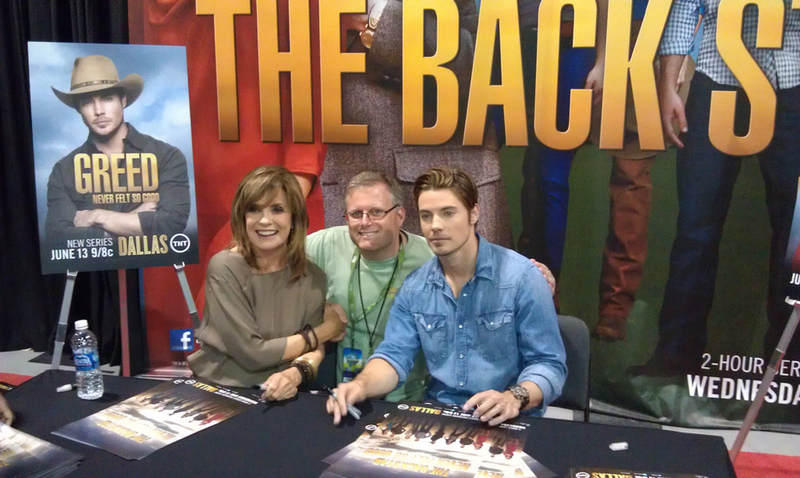 At TNT’s footprint in Fan Fair Hall, REACH engaged fans through activities such as Dallas trivia, a green screen photo experience, and autograph signings by cast members Linda Gray and Josh Henderson. REACH staff and brand ambassadors dressed in Texas attire delivered memorable engagements at the footprint. After four straight days of immersing patrons with everything Dallas, over 5,057 visitors walked away with free TNT Dallas-branded T-shirts and a photo posing with a green-screen image of the cast. Postcards were also distributed promoting tune-in. REACH was proud to represent TNT and enjoyed promoting Dallas to the projected 284,000 total attendees of the CMA Music Festival.